This has been a horrible month, and it was capped off by the fact that, right in the middle of my juggling all of the crises, my hard drive! 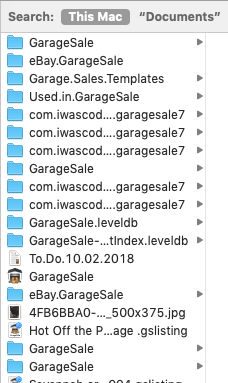 I have a backup of everything but I ha no clue how to restore the Garagesale section. I think I have everything I need, bit I believe I have two different copies – 6 and 7. I am going to attach a list of GS folders so you can hopefully tell me what goes where. I really only need the ones that were active at the time this mess started. I hope someone can help me! Thanks. if you have a copy of the folder contained in “containers” under library (the com.iwascoding.garagesale.7 folder), you should be fine. First, make sure to have 2 identical copies of that folder BEFORE importing the new database, sometimes might go wrong and so keep a safe one. Then, CLOSE GS (very important, quite with cmd-q), then go to finder>go>(press alt on keyboard)>library>containers. Copy into containers the com.iwascoding.garagesale.7 (I guess you did not use GS 6 any more and GS 7 is still installed). If there is already a folder called like that with empty database, after new installation, delete it (GS closed!!) and sostitute with the old back up. While it is copying, DON’T OPEN GS. When it is finished, open GS and everything should be there. 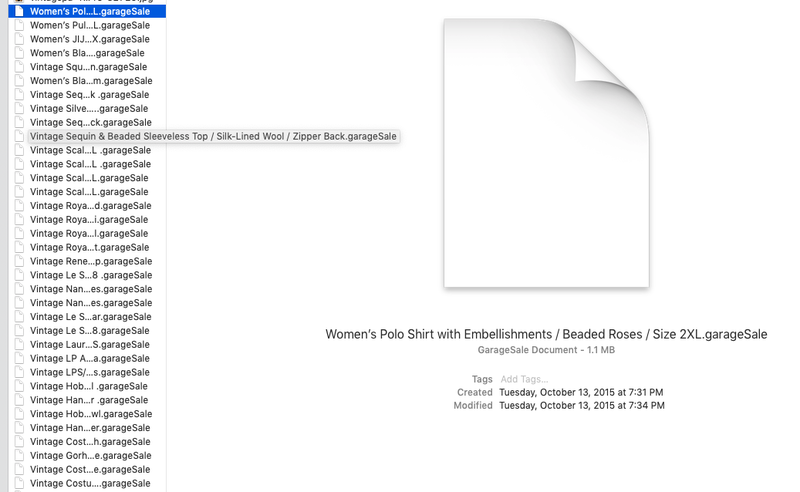 DON’T TOUCH files inside the com.iwascoding.garagesale.7 folder as I see in last screenshot, it’s better to avoid. It explains where to find your GarageSale 7 database and what you need to transfer to the new system. My suggestion is not to use the search function and just follow the mentioned path to find the GarageSale database in the Finder.